Represent the Dark Knight everywhere you go! 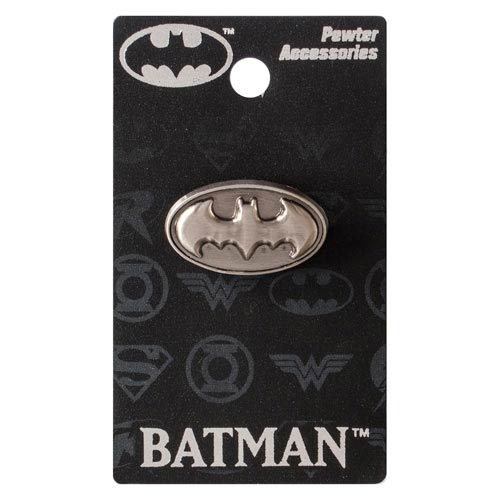 This Batman Logo Pewter Lapel Pin features the classic symbol for DC Comics' Batman that everyone is sure to recognize. Measuring approximately 3/4-inches wide x 1/2-inch tall, it's the perfect size to display on your shirt lapel, backpack, or just about anywhere else! Ages 14 and up.